Out of the four Gynacantha Sp. that can be found in Singapore, I think Gynacantha bayadera is the most elusive and most hard to find. 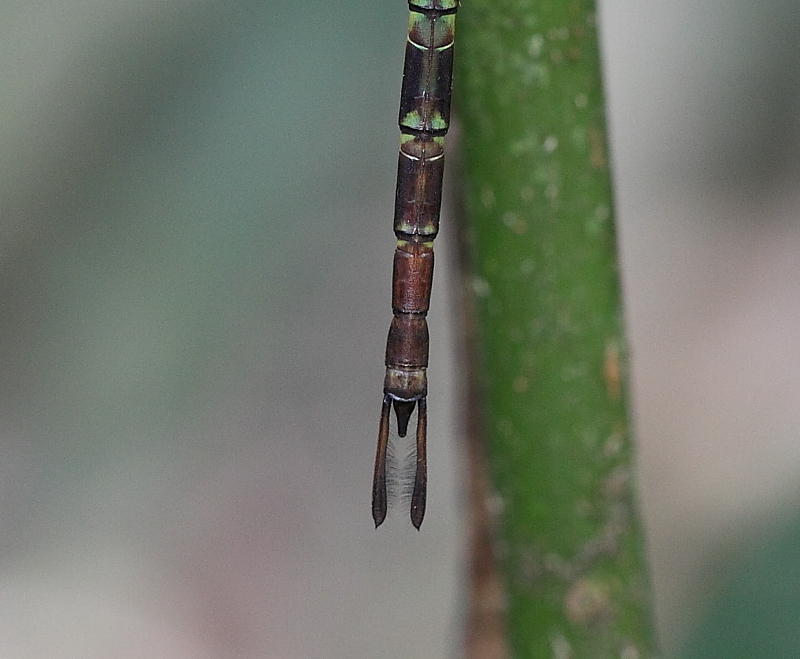 It is consider rare in Singapore and the two specimens which I took, a male and a female are found at Mandai Forest. The thorax of this species is entirely green. Unlike the other Gynacantha Sp. that can be found locally here, bayadera does not have a T-shaped mark on the frons. The superior appendages is straight and fairly short. From my observation, G. bayadera prefer to perch lowly on twig or branch in thick forest and will not move far if disturbed. 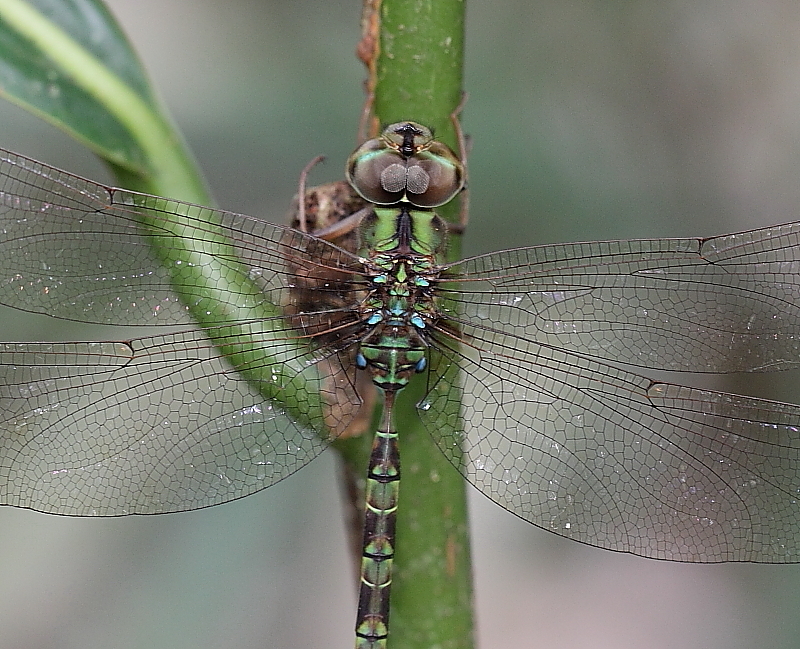 It’s greenish thorax and small size also blend in perfectly well with the surrounding vegetation. It is a fairly a localized species and quite rare. 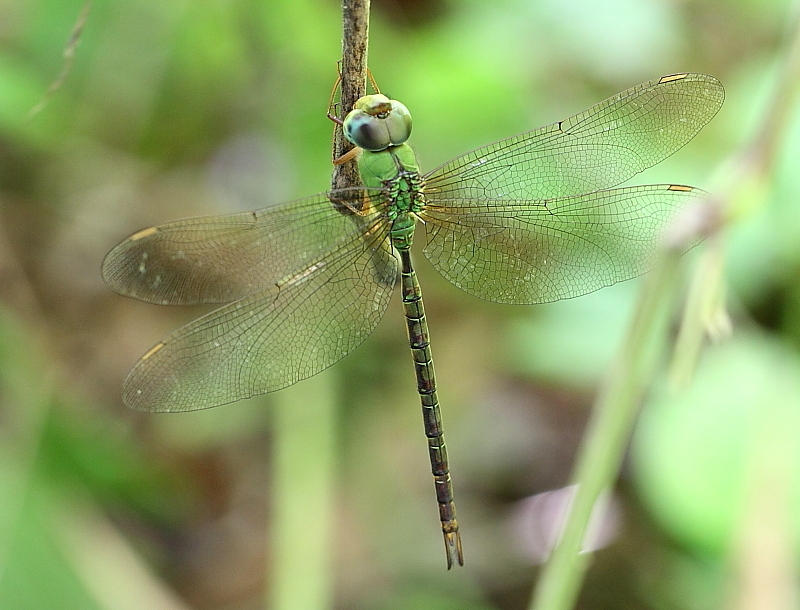 Aeshnidae or hawkers are large and robust dragonflies. They are strong flyers. 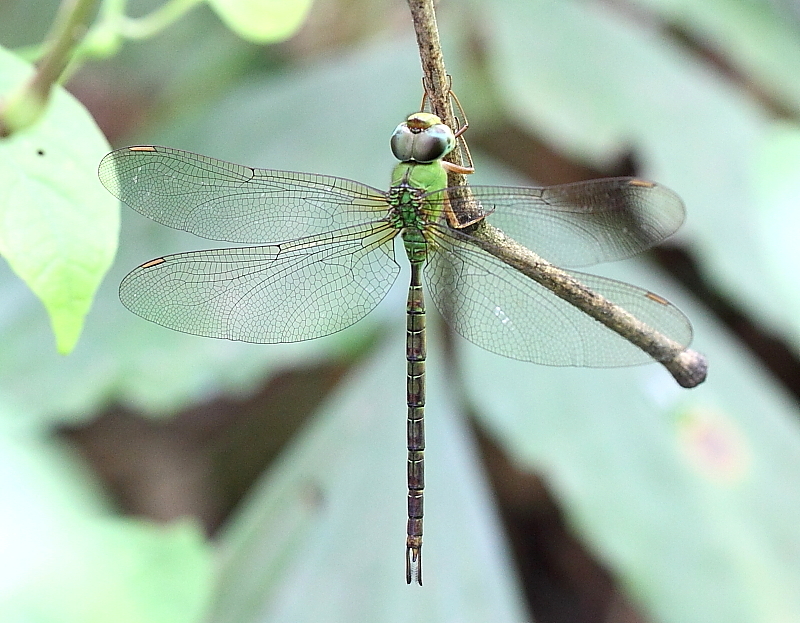 They have large eyes and slender abdomens. Superior appendages of this family species are fairly long and the shape of the appendages is important in identification of the species. During the day, they adopt a vertical position at rest, usually hanging from twig or on the bark of tree. Gynacantha subinterrupta belongs to the Aeshnidae family. 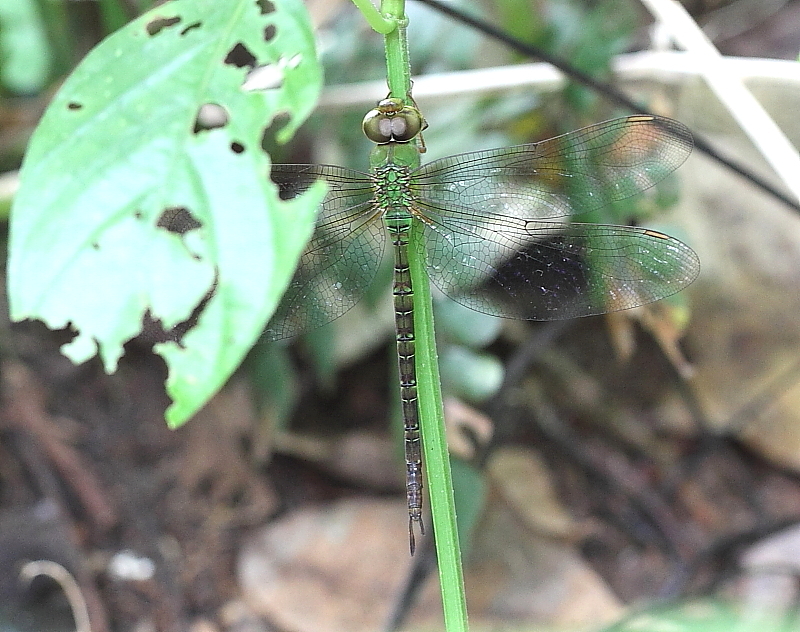 This is an uncommon species in Singapore and I have seen them in places like Bukit Timah mountain biking trail, Chestnut forests and Mandai forests. It is fairly difficult to come across this species as they normally roost in dense vegetation deep in swampy forests during the day. For ID purposes, there is a dark T-shaped mark on the upper surface of the frons and the interior appendages is dark in colour.